Leading Tibetologist Clare Harris combines the results of extensive research in museums and archives with her own fieldwork in Tibetan communities to present material that has never been made public or discussed before. This includes the earliest known photographs taken in Tibet, dating to 1863, the experimental camerawork of senior Tibetan monks – including the 13th Dalai Lama – and the creations of contemporary Tibetan photographers and artists. With every image she examines the complex religious, political and cultural climate in which it was produced. Featuring stunning photographs throughout, Photography and Tibet will appeal to anyone interested in the history of Tibet and its unique entanglement with aesthetics and modernity. 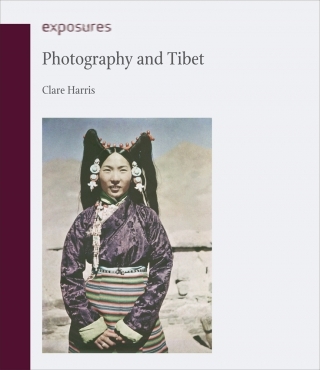 Clare Harris is Professor of Visual Anthropology at the University of Oxford, Curator for Asian Collections at the Pitt Rivers Museum and a Fellow of Magdalen College, Oxford. Her previous award-winning publications include The Museum on the Roof of the World: Art, Politics and the Representation of Tibet (2012) and In the Image of Tibet: Tibetan Painting after 1959 (Reaktion, 1999).